It has been quite long we wrote anything here on blogincomes.com.ng, we apologize for this. Today we are writing our own review of how our website speed went down as a result of the ad network I decided to implement on my website. We did not do this as a result of generating revenue but we did this as a result of complaints we have received about the local ad network Nairapp.com concerning decreasing website speed upon the implementation of the ad codes in a website. Due to the level of complaints I received in my email, I decided to place a trial on this ad network to ascertain if what my fellow blogger are saying is true or not knowing fully well our income here @blogincomes.com.ng comes from mainly affiliates, direct ads, self service and consulting, we deemed it fit to give this a trial knowing the our customers will not be pissed with this and equally we are not harming our Adsense earnings and performance. Note: here @blogincomes.com.ng we write as a result of our experience and not as a result of hear say and this is why we take too long to write reviews. “Before offering a review or writing one, make sure you use the product and make your review stand out as a result of your own experience and not what someone else thinks”. With this, let’s talk about how Nairapp.com brought my website speed down to below half. If you’re truly a webmaster, your website loading time (speed) should be of utmost importance to you and not the design or layout. We have always written about how heavy website theme can slow your website speed and also several other factors of such sort but we have never really looked into an ad network being one of the principal causes of this problem. If you haven’t experienced this, believe me I have. when I received a worrisome handful of emails about nairapp.com ad network I decided to signup for the ads network and give it my best shot. I went through the normal process of signup and I got approved instantly and that was a WOW!! So easy I said. Then I went ahead with ad units and created only one 300*250 ads size which suited inside article ads and made for my website panel and had it on the beginning of the post, inside post, and end of the post. In the instant I clicked save ads, BOOM it appeared in my website post section and I was happy I will finally find out the truth about this ad network. I do not use Google Adsense for my website as I do not wish to distract my visitors but I knew I can fathom quite a good number of clicks from my audience if I did use Adsense, so using nairapp.com ad on my website wouldn’t be a different story considering the fact that their ads are never attractive and seems to be too old-fashioned. Upon getting nairapp.com ad live on my website, everything was okay and working perfectly not until something had to change in less that 42 hours of the implementation of the code. Based on the fact that I do center all my website traffic from search engine (organic) I was able to find out about this in less than enough time it would take someone who gets his web traffic from other sources. This is not about the website speed now because two things happened as I had the ads live on my website. Let’s look at how my Google search engine result page (SERP) went down. 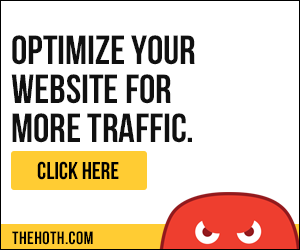 I immediately found out I am losing traffic within space of hours for the first day and the second-day things worsened and I started receiving lower visitors than before and this really got my attention. I had hundreds of keywords which I rank for organically and they are the main atlas of my website which fetches me good traffic but as this happened, I lost my search traffic and was pushed to googles fourth page or thereabouts where I cannot be found. “Thanks to being an authority domain”. 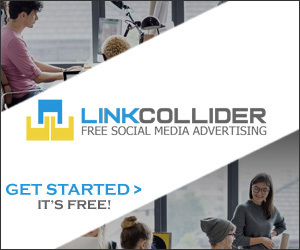 I wondered what this ad network wants me to achieve by making me lose my traffic. Now let’s look at the main reason for this article which is how my website speed went down. Speed is the basic determinant of bounce rate in a website considering this may be as a result of network dullness, video contents of websites, sometimes caused by website theme, and most times its just the system speed of processing but nonetheless, no one has ever looked into an ad network is the cause of this malfunction. I actually did look into this. Coupled with losing my traffic in SERP, I also lost my website speed as a result of the ad network I implemented. My website had an initial speed of 15 seconds of load time but as this happened, I experienced a minute load time without loading the ads itself. This makes the ads itself take too long to load and the loading of the website went down to cut-load with the topmost side loading first and the downside coming later. As a result of the decreased website speed, I equally experienced a high bounce rate and lesser outbound links clicked. Since I started using their ad network which basically lasted for less than a week, I was able to send 1,100 clicks on ad and more than 500k impressions but I was only able to make #250.00 with them. Is this ad network worth using considering all these things leveled above? Also, note that this is a real experience and not just one fabricated tale against an established company. We love writing truthful reviews about companies and websites related to our niche and this isn’t about saying wrong or right or trying to Favour one and leave one aside. Nairapp.com should try and better their ad serving services and increase their industry payouts as this will severely affect their customers in the near future. This content is written by the owner @blogincomes.com.ng and not subject to change. You can contact me if you request any modification or if any future changes have been made although a positive one. Thanks for the review Kenneth. But i think it will be better to point out most of the things that might be slowing your blog down. Firstly, consider using native comment instead of JetPack comment. Secondly, you need to switch to a good theme with speed. Thirdly, reduce the number of plugins you’re using on this blog. Fourthly, anything Nigerian ad network is scam to me (smh), and since you’re making money through other means, i think it’d be better to stick to what works for you. I would like to note out that I did exactly what you said but I keep finding out that the ad network is really the issue. The website theme is quite fast in loading and also the plugins are minimal. Thaks for dropping by I really appreciate.